A wild party is often described as one at which someone gets tipsy and ends up wearing a lampshade on his head. 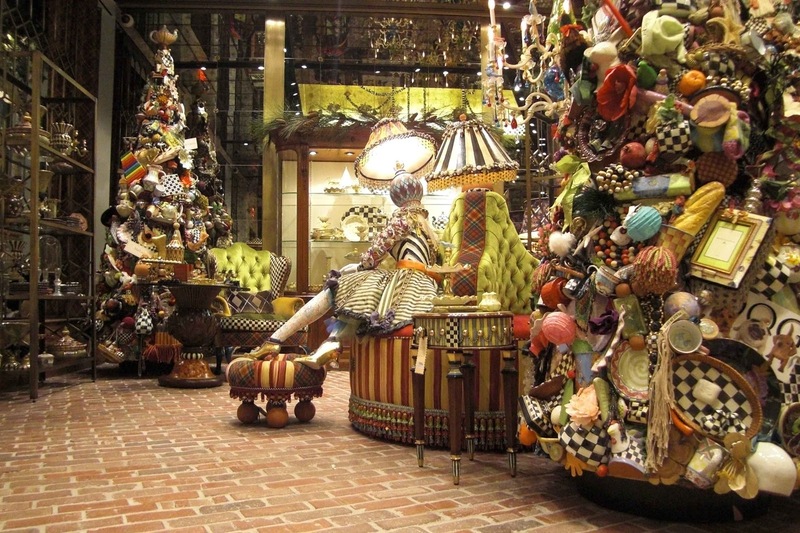 In the MacKenzie-Childs shop in New York, lamps with shades became the heads of two mannequins lounging near the front door. 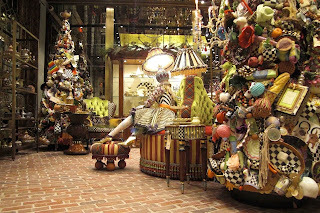 The holiday decorations perfectly represented the design ethic of MacKenzie-Childs, from the tasseled trims on the mannequin's skirts to the tips of the trees cobbled from pretty much everything in the M-C catalog. Their signature black and white checkerboard pattern tied it all together. I would go to this fantastical party any time.